Have you ever heard about the story of the grasshopper and the ant? If you never heard about it before, this is seriously going to be a MUST-READ for you. If you have heard about the story before, do you know that there is an interesting life lesson we can learn from? There are 4 seasons that we will be going through in this world, spring, summer, autumn and winter. During the spring season, the wind is warm and the flowers blossom.This is the best time where the ant work hard to harvest for food. You can hear the bird singing and the weather is just perfect. The ant heard the grasshopper, but he ignores the grasshopper. The ant continues to work hard on the hunt for food. Of course, the grasshopper laughs at the ant implying that the ant is just plain stupid. After spring gone, comes the summer. The weather in summer is hot and dry. The ant feels the hot but still continue to search for more food, as he knows, the winter is near. As for the grasshopper, he still hopping here and there, looking for shelter to hide under the trees to avoid the hot sun. And after summer gone, comes autumn. The weather started to cool down and leaves started to fall. The ant continue to work hard to harvest for more food. In the same time, the grasshopper just wanted to start looking for food. He is worried because the weather has turn colder each day and he knows that winter is coming real soon. If the grasshopper cannot manage to store enough food, he might starve to death during the winter season. And soon enough, autumn has gone and it comes the winter. It is cold and snow is everywhere. The ant is happily enjoying the food he harvested in his house during the 3 seasons before. Suddenly someone knocks on the door. The ant opens the door and sees the grasshopper, asking for food. Being a good and kind, the ant invited the grasshopper into the house and both enjoy the food together. It is a happy ending for the both the ant and the grasshopper. The moral of the story? NEVER WASTE TIME! How many seasons do you think you will go through in your life time? if you live up to 70, are you going to experience 280 seasons? Or if you’re like me, living in Malaysia, it is always hot and we can only experience summer all the time, so are we going through only 1 season? Let us connect this to our life, we only go through 4 seasons in our life time – spring, summer, autumn and winter. We experience each season once only throughout our life. Spring – This is the best time to enjoy, the weather is good and the flower is blooming everywhere. In life this is where we go through our life as a student. Life is good and everything is fine. We enjoy a lot in school. Many of us spend our time into games, tackling the girls and into sports. Most of us never really think about our future because this is the best weather of all. Autumn – This is when your age is around 40 to 60. 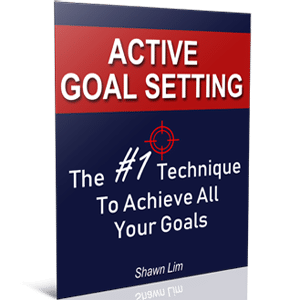 By this time you would started to feel the cold and reluctant to work on your goals anymore. You started to feel tired and lack of motivation to chase for your goals. This is where a lot of people started to give up on their dreams. And if during this time you are yet to achieve what you set out to accomplish, winter will be coming. Winter – Winter is going to be cold and there will be snow in some countries. Your age here probably would be over 60. At this time, you don’t even wanted to move and work on your dreams anymore. This is the time people started to feel the cold and totally give up on their dreams. I hope you are not one in this category. At this age, you won’t even want to talk about having a dream anymore, all you want is to know how are you going to survive after this. Yes, if it’s gone, it will be gone. We cannot turn back time. All we can do is to make sure we get the most out of each moment. Therefore, strive to work harder to achieve your goals and reach your dreams as early as possible. Time waits for no one. Don’t wait until it is way too late only then you wanted to strive. If you are in your spring time now, great. This is the time for you to learn and prepare yourself before you venture into the working world. Find out your passion and find out what you wanted to do with your life. If you are in your summer time, this would be the best time for you to chase for your dreams and your goals. Work as hard as possible for your future and your dreams. Go all out and strive as hard as possible. This is the best time to build your business or your career. If you are in autumn now, never lose hope, you still got the time to go for what you want. Never forget that Ray Kroc from McDonalds’ did it in his autumn, you could be the same. It is just that you don’t have time to jump around and keep changing your dreams anymore. If you have a goal, stick to it and take action until you achieve it. If you are in the winter, you may want to change your strategy about how you approach to achieve for what you want. Do you know that Colonel Sanders, the founder of Kentucky Fried Chicken made it in his 60’s? It may be cold for you during winter season, but if you desire is strong enough, the weather cannot stop you. So always remember this golden lesson. Never waste the moment you had in life. Thank you so much for sharing this story here! This story has a such a powerful message to give: When the times are good, one should not only enjoy but also word hard and prepare for the bad times as you never know when the time changes. It is always good to hope for the best, but one should always stay prepared for the worst as well.